I am rooting for this to be thrown out of court. Dallas County Court at Law Judge Mark Greenberg heard arguments Friday over jurisdictional issues in the civil case brought by taxpayer Jeffory Blackard. Blackard is challenging the $300 per hour fees being paid to the three Houston attorneys handling the criminal prosecution in the Paxton securities case. Greenberg set a Thursday deadline to either issue a ruling or request further information. Collin County district judges and the district attorney’s office recused themselves from all things related to Paxton, who is from McKinney and has lots of local ties. So outsiders had to be appointed in their stead. 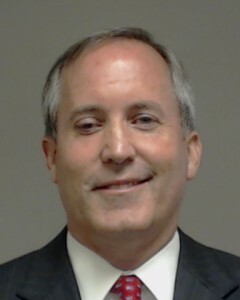 Tarrant County District Judge George Gallagher was named to preside over the Paxton criminal case. When Blackard filed his civil suit, Greenberg was tapped to hear that. And when the special prosecutors, appointed last year, needed legal representation, an attorney was appointed for them as well. The main issue to be decided in the Blackard case is whether Greenberg has jurisdiction to question future orders by Gallagher. Blackard’s attorneys argue that he does. Attorneys for Collin County and the special prosecutors believe the proper venue is the Court of Criminal Appeals. Attorney David Feldman, who represents special prosecutors Kent Schaefer, Brian Wice and Nicole DeBorde, said Friday this is a highly charged political matter. Edward Greim, who represents Blackard, said it’s important to be able to question the special prosecutors’ fees, citing the first payment in January that was ordered by Gallagher, approved by county commissioners and paid out in a matter of days. So far, Collin County has paid $254,908.85 in fees and expenses logged in the Paxton case between April and December. More payments are expected, as the criminal case is in the early stages with no trial date set. What’s not known is when future bills will be submitted or how much they will be for. Once the county pays a bill, it can’t be challenged by taxpayers. So Blackard’s civil suit is looking to challenge future payments. Attorney Greg Hudson is representing County Judge Keith Self and the four county commissioners in Blackard’s case. He said that the commissioners couldn’t find any valid reason to challenge Gallagher’s order over the fees, so they voted to pay them. A major concern if the Blackard case proceeds is whether Collin County commissioners will find themselves caught between a Gallagher order to pay the fees and a Greenberg order not to pay the fees. “This puts my clients in the crosshairs of a web they didn’t weave,” Hudson said, arguing that the validity of Gallagher’s order is under attack, rather than the county commissioners’ decision to abide by the order. That’s also why the challenge over fees doesn’t belong in civil court, he argued. “This is a slippery slope if a judge such as yourself is placed in a position to second-guess a sister court,” Feldman told Greenberg. See here, here, and here for the background. An earlier story examined the question of whether the fees these attorneys are being paid were overly generous, and concluded that they were generally considered to be reasonable for this kind of case. I agree with Feldman that if this action succeeds, the case against Paxton becomes extremely unwieldy, possibly too much so to proceed. It’s too bad for Collin County that this is expensive, and as I said before perhaps the Lege should look at the question of when attorneys ad litem get appointed and when it would be better to assign a case to another DA’s office instead, but there’s nothing we can do about that now. This case needs to play out without being artificially impeded. Anything else is an injustice. Posted in: Legal matters, Scandalized!.